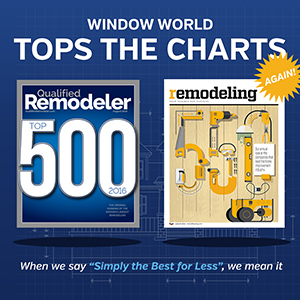 NORTH WILKESBORO, N.C. – For the eighth year in a row, Window World®, America’s largest replacement window and exterior remodeling company, has swept the rankings of prestigious industry publications Qualified Remodeler and Remodeling magazine. Qualified Remodeler’s Top 500 is a list of the nation’s largest remodeling firms, recognized for significant and sustained success based on installed remodeling dollar volume, total years in business, community service, industry association membership, certification and awards. 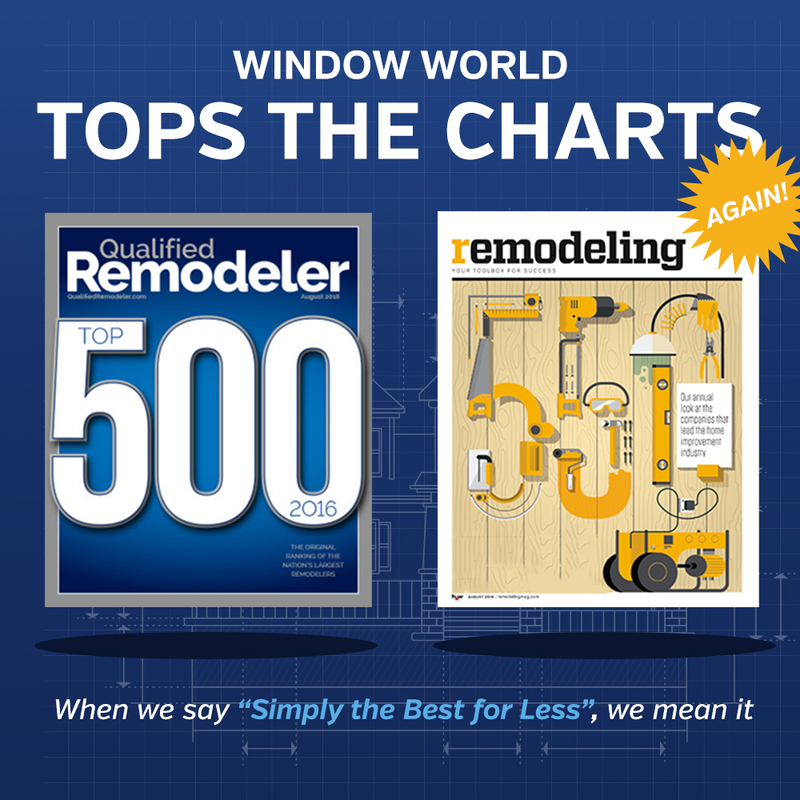 Window World outperformed other businesses in the home improvement industry to secure the top spot of any exterior/replacement contractor for the tenth consecutive year. In addition to the Qualified Remodeler placement, Window World was acknowledged in another industry publication, Remodeling magazine. Ranking No. 1 Replacement Contractor in August’s Top 550 list for the eighth year in a row, Window World lead the industry with more than six times the revenue of its next closest competitor. The recent honors add to a growing list of accolades, including Window World earning the Good Housekeeping Seal for the ninth consecutive year, becoming one of only two companies in all of the home improvement industry to offer Good Housekeeping Seal-backed windows. In June, Window World received the ranking “Highest in Customer Satisfaction with Windows and Doors, Three out of Four Times in a Row” among 16 companies in the J.D. Power 2016 Windows & Patio Doors Satisfaction StudySM.